After her boyfriend dumps her, Gabby is asked to go on tour with her twin brother selling merchandise for his band. Which would be fine, if she wasn’t insanely attracted to the lead singer of the other traveling band, Sacha. 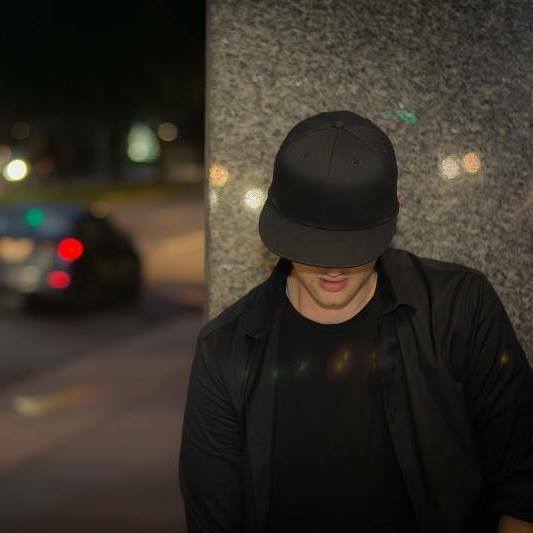 Three months and a bunch of countries, everyone will be tight together making for some interesting happenings. Mariana Zapata is an author who has never let me down. I’ve read six of her books and thoroughly enjoyed them all. She takes the time to develop her characters and her relationships, so everything feels more real. I love that she writes slow burn instead of instalove, I love seeing the journey her characters take when falling for each other. 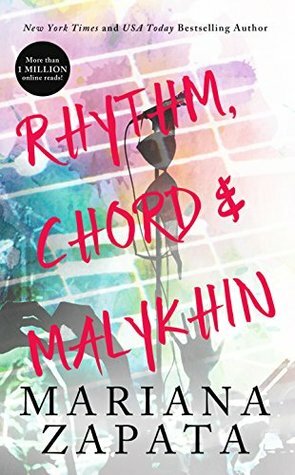 Rhythm, Chord & Malykhin is an excellent book and falls in the middle of the spectrum, not my favorite Zapata and not my least favorite. It’s a solid rock star romance, but I also wondered why none of the band players were running around getting laid with everything that moved. Not that I want that, but I wonder if this was a more accurate depiction of the lifestyle where it takes place. You need to start reading Zapata if you haven’t already. And if you have read some of her books, bump this one up the to be read list. Full confession, I totally went into this book knowing mini spoilers. By that I mean I knew the majority of the first half of the book was in epistolary form aka written in emails, IMs and texts. I think it helped knowing that going in, because if I hadn’t I think I would have quit this book, and that would be a damn shame. 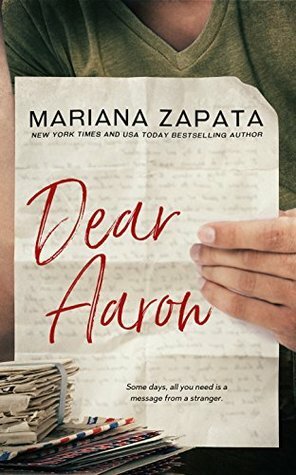 Dear Aaron is a love story between a soldier and his assigned pen pal. Ruby and Aaron meet via email when he is deployed in the Middle East through a letters to soldiers program. Over time, they become very good friends and some feelings develop, at least on one side. I really don’t want to say more than that, go into this knowing it’s a slow burn, the first half the interactions are all written, and that it’s a long book and you’ll be good. Mariana Zapata writes the best slow burn romance. Hands down. You want a romance you’ll long for? Turn to this woman’s books. And while this one was on the sweeter side for me, I still found myself smiling as I was reading it. This book was really a double edged sword for Zapata, and by that I mean the way it’s written is a tough balance. Too much written interaction and it’s too long, not enough and then people would complain it’s not developed enough. 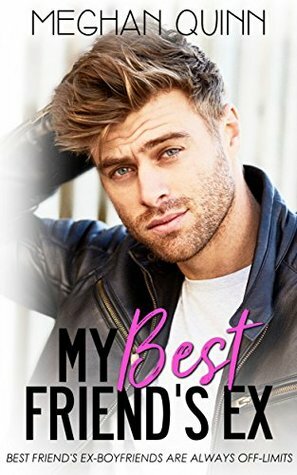 While it’s not perfect, I think she did an excellent job in building the relationship she did and that many readers will enjoy it. I’m off to read the rest of Zapata’s books! I have two more to go until I run out and will sit here waiting for her to publish more! Meghan Quinn is a relatively new author to me. I’ve seen her at lots of author events, Big Apple, Love N Colorado, Love N Vegas, etc… so she’s an author I’ve been meaning to read. When I saw this book was only $1.20 on Amazon, I snapped this baby up! And while I enjoyed it (remember peeps, I don’t consider a 3 a negative rating!!) I think my sense of humor doesn’t really mesh well with Quinn’s. It’s a little bit too much for me, I’m more of the sarcasm and one-liners kind of humor than in your face almost slap sticky. I really did enjoy this book, mostly the second half because it was hotter and angstier than the first half. 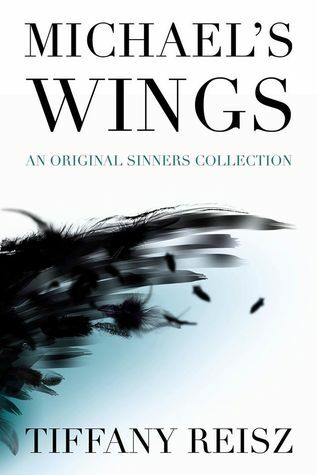 I think lots of readers would love this book and the story, it’s a good trope. I just wish we had seen more of the best friend, we only saw her at 48% and then a little bit near the end, we saw all of Emma’s other friends more than the “best” friend. Many of my trusted book friends have told me to read Dear Life, and I think I will try that. 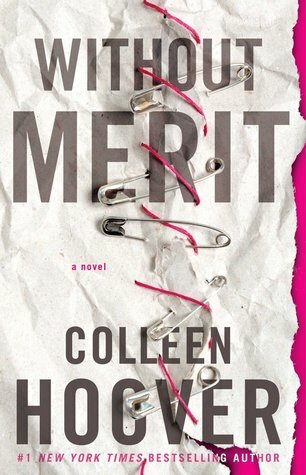 This book was a lot of fun and that light read many readers are searching for. And I’m also glad I read a new to me author and broke outside of my comfort zone. 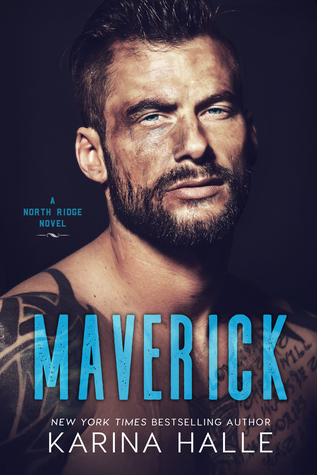 Maverick is the story of Riley a young beautiful woman working in search and rescue. After a traumatic working experience where Riley lost a friend, she moves to Canada for a new job. John “Mav” Maverick is her new boss, and right off the bat they know there’s chemistry between them. But employees are forbidden from dating in search and rescue, so they must do what they can to keep away from each other. 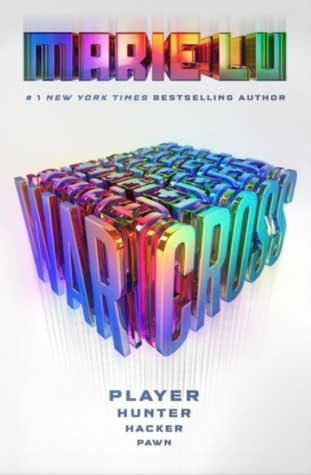 This book was a fun and hot break from reality. Riley and Mav had some serious chemistry and waiting for them to get together was everything! It was nice to revisit the true north world and see characters we met in Wild Card. 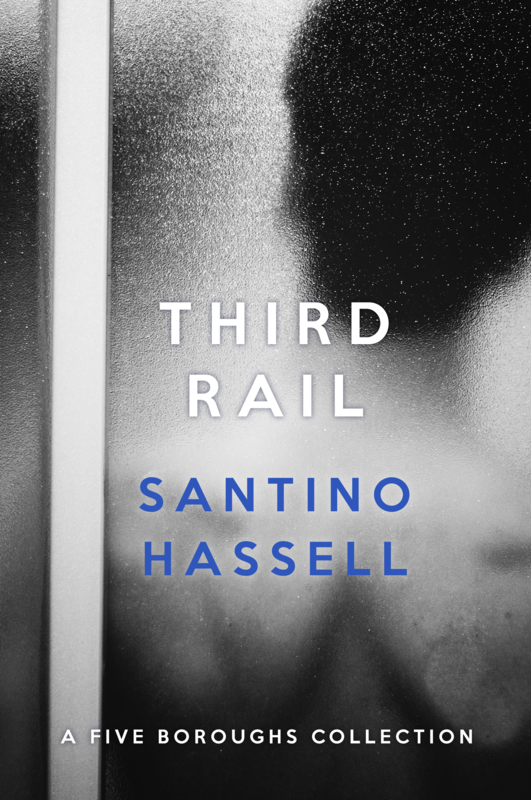 While this is “second” in a series, you can easily read this book as a standalone novel, you don’t need any backstory. That being said I am excited for Del and Fox’s story, I hope it will be super angsty! Can you all believe I had never read this book until now? Yeah, neither can I. Because that is CRAZY! To be fair, I put it off a lot. In a weird way that doesn’t make sense, I didn’t want to ruin Fangirl. 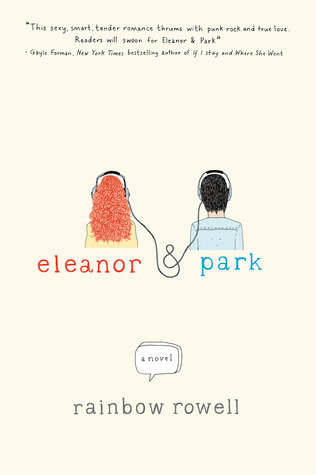 And this book didn’t, I still love Fangirl, I just have a different kind of love for Eleanor and Park. 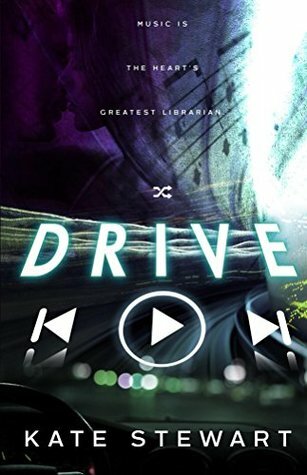 This book is about two outcast teens who become friends when they are forced to sit next to each other on the bus to and from school. At first, they don’t really understand each other, but as time goes by, they want to get to know each other and develop an amazing friendship, and then romance. This is going to be a shorter review because I think everyone has already said all the things about this book. But MY HEART. This book made me wish that men like Park existed in real life, because no man could measure up to this guy. And Eleanor, I bled for that girl. I just wanted to hug her and tell her she was beautiful and that someone cared. Anyways, if you are stupid like me and haven’t read this book, you need to correct this giant mistake asap. You won’t regret this one! I also want to make one thing clear, this book is unlike anything else Hoover has written. She’s said so herself, but I think it merited reminding < —- see what I did there? And I love that about Hoover. She never delivers the same thing twice, she continues to evolve and grow as a writer. As a reader, I really appreciate this, because it means I never know what to expect. And in a way, when she brings us something new it’s her way of respecting the reader, knowing that we will grow with her.